We can create unique designs. 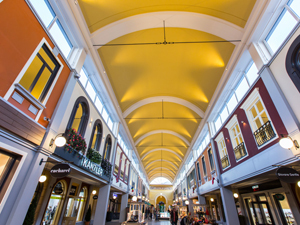 Our experts will help to be ready to assist with any non-standard design or architectural solution needed for a project. Creative visions of architects and designers are not always easy to implement. However, this does not mean that the creation of a truly special customized interior is impossible. Our skilled designers and the technical capabilities of our production facility are able to realize unique one of a kind solutions, which are assembled on site in the realization phase. 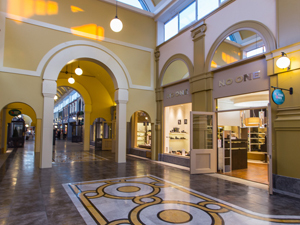 Our company performed 187 decorative shopfronts for an indoor shopping gallery. 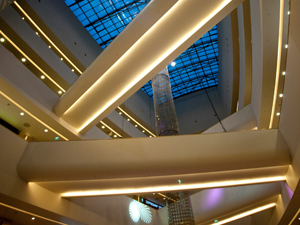 The huge modern building has a classical facade style with a total area of 190 thousand sq.m. 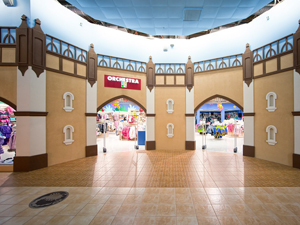 The concept included realisation of: Commercial spaces on several floors, a food court, a supermarket, an entertainment center, and so on. 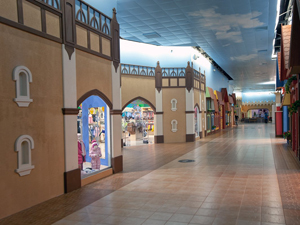 For shopping and entertainment complex "Grand Canyon", our specialists have developed and implemented the concept of decorative facades for shops. 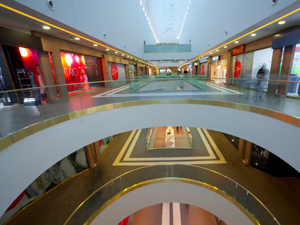 Our unique designs for “marvelous city” are located in a shopping and entertainment complex, and occupy an area of 21,500 sq.m. 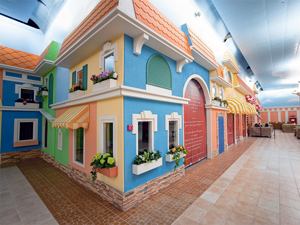 The decorative facades of shops are made in the style of children's fairy tales. 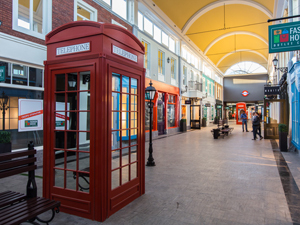 In the Fashion House Outlet Centre, our team has created unique decorative facades in the style of historical shops front from the streets of Milan and London in an area of 22,500 square meters. We realise your custom design ideas. 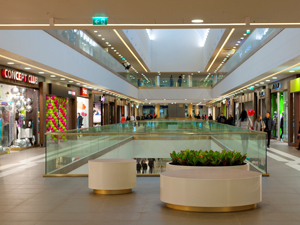 We provide working documentation, design, fabrication and installation of decorative products and elements for interiors of shopping malls, individual outlets and offices.